While migrating all Hyper-V virtual machines from an old cluster environment to a new hyper converged system environment I noticed that one of the unix based virtual machines couldn’t be backed up anymore. The job simply failed all the time without ever synchronizing. 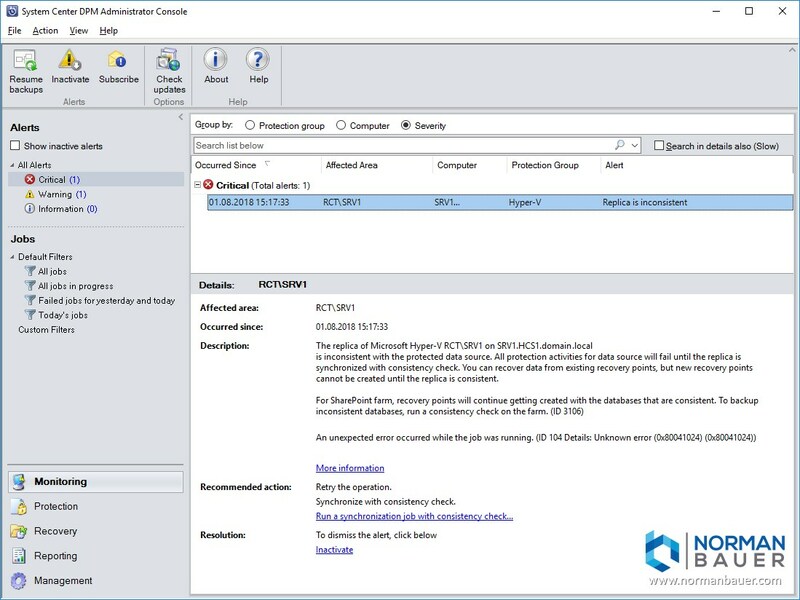 Description: The replica of Microsoft Hyper-V RCT\SRV1 on SRV1.HCS1.domain.local is inconsistent with the protected data source. All protection activities for data source will fail until the replica is synchronized with consistency check. You can recover data from existing recovery points, but new recovery points cannot be created until the replica is consistent. 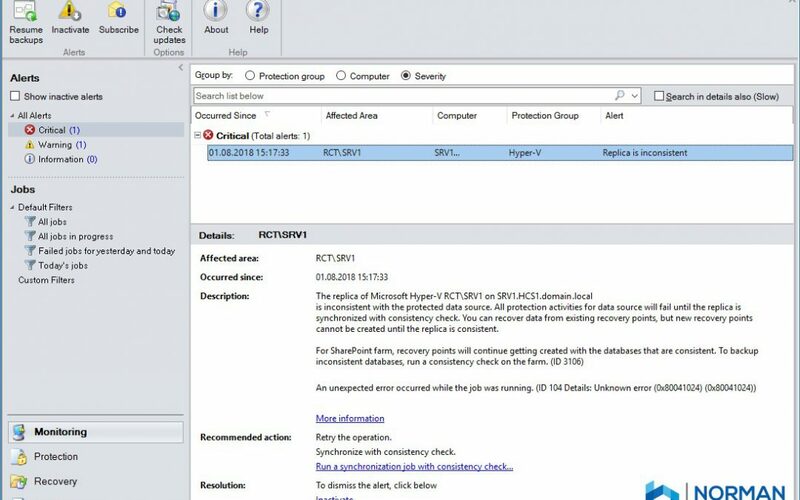 To resolve this issue open the settings of the affected virtual machine in the Hyper-V Console. 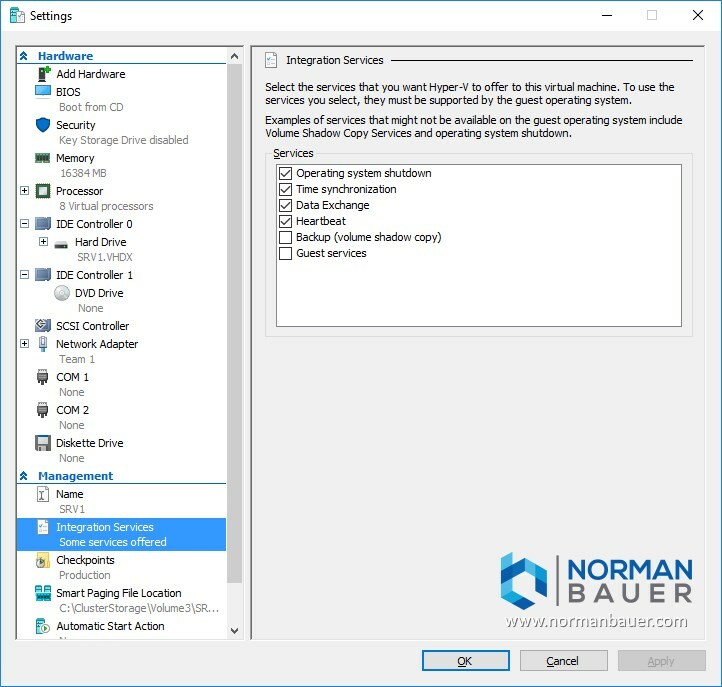 Under Management go to Integration Services uncheck “Backup (volume shadow copy)”. After that, return to Data Protection Manager and perform a consistency check.